Amy graduated from University College Cork with a BCL Honours Degree in 2000 and qualified as a solicitor in 2005. 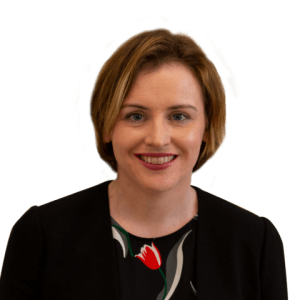 Amy obtained a Diploma in Property Tax from the Law Society of Ireland in 2007 and received a Diploma in Employment Law from the Law Society of Ireland in 2014. Amy has over 15 years’ legal experience, having previously worked in a busy corporate firm, where she dealt primarily with the private clients of the practice. Amy joined the firm in 2018 and deals mainly with Conveyancing and Will and Probate matters, having developed a speciality in these areas during her years in practice.